Angew. Chem. Int. Ed. 2013 52, 13414-13418. 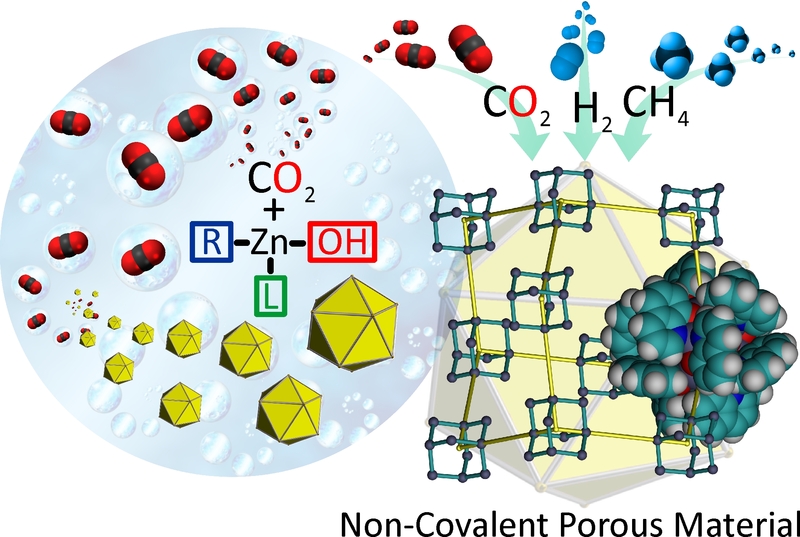 Hungry hungry micropores: Reaction of [Zn4(μ3-OH)2(L)4(tBu)2] (LH = 8-hydroxyquinoline) with CO2 forms a 3D microporous material with spherical zinc carbonate nanoclusters packed in a diamondoid manner in the solid state. This compound exhibits one of the highest Brunauer—Emmett—Teller surface areas for a noncovalent porous material, with high H2, CO2, and CH4 uptake.